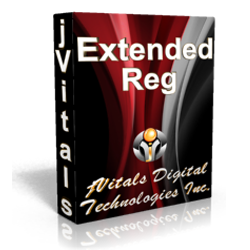 ExtendedReg (ExtendedRegistration or ER) is an extremely powerful Joomla registration system that gives you total control of the user registration process. From simple custom fields to advanced multi-page registration process, ExtendedReg does it all. Create as many registration forms as you like and collect different data for each form. When allowing users to update their data from the front end, they only see the fields that were available in the form they registered with at the time of registration (unless you add more of course). The most powerful tool in ExtendedReg is the simplicity of creating custom forms. Simple right click, add rows, columns, steps, default or custom fields. You can even add an entire group of fields in one simple step.